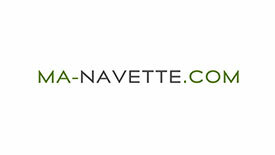 MA-NAVETTE.com is a leader in on demand transport. Highly quality oriented, the company has been highly structured since its creation in 2010, combining major technological innovations with transport. Establishing in 4 cities (Casablanca, Marrakech, Rabat and Fez), Ma-navette.com has acquired its own fleet of standardized, geolocated vehicles and is working to train its transport agents in order to guarantee consistency in the service provided.